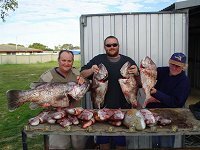 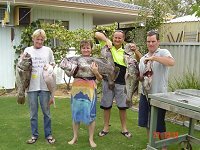 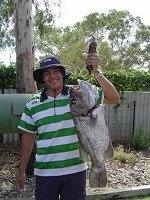 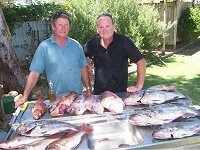 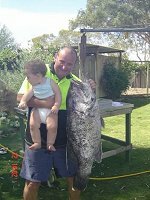 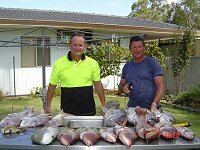 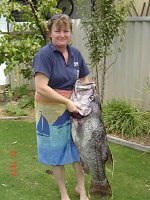 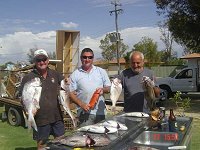 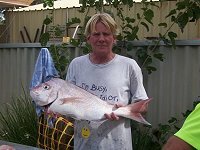 One of the favourite hobbies of Eneabba residents is fishing. 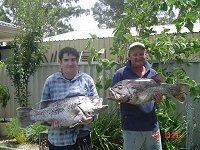 The coast of is just a 25-minute drive on the Eneabba-Leeman (Coolimba) Road. 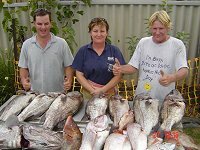 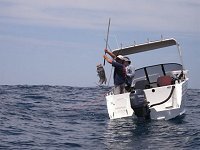 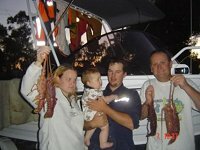 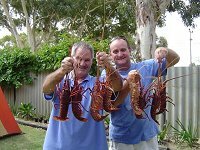 Previously it has been mentioned that the fishing is usually quite good. 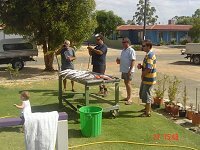 Now, thanks to John Read who supplied all photos for this page, the proof is here. 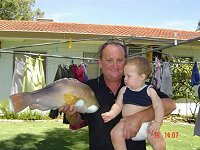 It's unlikely that these pictures require any comments.